Whether you are furnishing a new home or updating your existing home, window treatments are often left as one of the last decisions. It should be simple, right? With the extensive options available to homeowners, however, selecting the window treatment that suits your home and your life can start to feel like an overwhelming choice. It needn't be so difficult. With the electronic clutter, constant demands on your time and the ever-present feeling that you have forgotten to do yet one more thing, your home should be a place of simplicity and respite. When it comes to window treatments, blinds are the optimal choice. First popular in the 1930's for their sleek, modern look, blinds have been a standard window treatment for years. If you haven't looked at blinds seriously in, say, forever, it's time to take a new look. If sleek and modern is what you are aiming for, blinds are for you. If you have issues with too much/not enough sun at certain times of the day or year, blinds are for you. If you are seeking a comfortable, yet traditional look, you can achieve it with blinds as well! Blinds are traditionally made of hard materials - wood, metal or plastic. There are fabric options available as well. Blinds are designed to allow you to control the amount of light let into your home at any given time. They can be controlled by a pulley system, a rod or a remote control. Most blinds offer the option of opening up the window completely if you are worried about obstructing your view when the conditions are right. The slats on blinds can run vertically or horizontally. Vertical slats are generally used on large windows or doors, while the horizontal flats are more often used on standard-sized windows. You can find blinds in every color of the rainbow, no matter what your choice of material happens to be. If you are looking to re-sell your home now or know you will be moving in the near (within five years) future, you're best bet is to go with neutrals that match or enhance the existing trim or wood features in your home. If you have no plans to leave your home soon and are committed to a certain color - go for it! The effect of a blind that matches a room's paint can make a bold statement. We understand that everything has to be just right - the color, the texture, the light control - but when ordering online, sometimes it's just too hard to tell. At Blindsmax, we make it simple to test fabric and material samples in your own home. Let's get started! The first 15 are absolutely free. You will have to determine how you want your blinds to move. Do you want them to go up after they're lowered or would you prefer to have them come down from the top. Either way works well. It depends on the light you want to let in and the light you want to avoid. 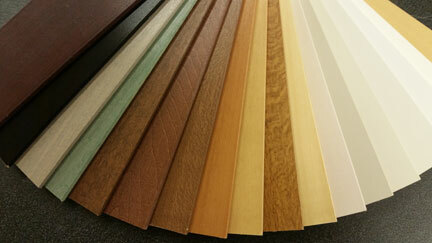 If you are considering wood blinds for their traditional and/or organic feel, should you opt for real wood? For the most part, nothing beats real wood for the look and patina. However, in humid climates, kitchens and bathroom, faux wood is easier to clean and is superior for protection against allergens and premature decay. Additionally, if you are considering using a painted wood blind, going faux can save you money without sacrificing aesthetics. Woodworkers regularly mutter to themselves "measure twice, cut once." The same holds true when you are getting ready to order blinds. Careful measurements are important AND they are not difficult to make. Really. - Use a steel measuring tape (you know the one your dad used to tell you to blow on and he would make it magically disappear?). - Measure within to the closest 1/8". If a blind's size is listed in 16th's of an inch, round down to the next 1/8". - List WIDTH (how wide) first and then HEIGHT (how high) when ordering. - If your blinds are going to be hung inside the frame of the window, that is where you measure, not the walls outside. - If your blinds will be hung outside/above the window frame, measure that area. 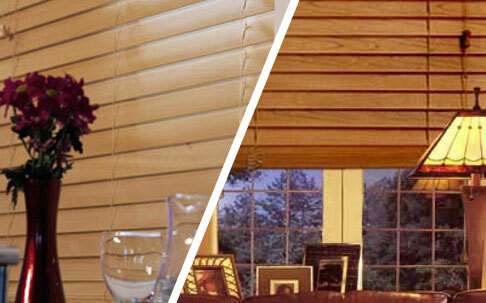 New blinds will provide a dramatic and beautiful change in your home, even if you change nothing else. Fresh, custom, streamlined blinds will give you control over the light in your home. If you have been sweltering under curtains for years, the change can be mind-boggling. The change will be even more significant if you have family members who suffer from allergies - pollen, dust, pet hair. Blinds are easy to clean, last without need for maintenance and are, hands down, the quickest, easiest way to give you home a makeover.